Floorfillas.com was created and developed by Andrew Yee of Citrus Cube & designed by Anthony Johnson. Choosing a Wedding DJ in Manchester or a Wedding DJ in Cheshire? Where did you get Your DJ? Why saving a few pounds on your DJ can cost more than its worth! This article contains important advice for those in search of the perfect Wedding DJ. Choosing the right DJ for your wedding can be quite a daunting task and is probably one of the most important choices you will make for your wedding reception. Guests usually judge how good the party was by whether they’ve had a good dance or not. People need to feel both relaxed and confident before they are ready to take to the dance floor and the music motivates them to actively take part in the party. People tend to be friendlier and a bit more outgoing once they have joined the party on the dance floor. Once the dance floor is busy, the DJ can dictate the pace and decide when to take the crowd to the next level. Does your DJ have the experience required to get all age groups on the dance floor? Will your DJ provide excitement for every age group? Creating a relaxed atmosphere that slowly lifts into an exciting and uplifting party is a skill gained by experience. The big challenge Wedding DJs face is appealing to all the age groups and yes, a DJ can have a modern approach and still appeal to the older age groups . There are songs through most decades that create such a high level of energy without all the expensive production that is now found on most dance tracks. Just take a look at some adverts on TV over the last ten years. You will find tracks that go back to the 50s, 60s and even earlier in some cases. Why do highly skilled and experienced advertising executives choose these songs for their multi-million pound advertising campaigns? Well it’s because they work and contain a touch of magic. Choosing older songs for the dance floor is not the same as choosing songs for a TV advert. However, there are some older songs that just work on the dance floor and still have that cool edge that makes you want to dance, even 50 or 60 years after they were originally in the charts. Does your DJ have the right style for your event? You can also find some DJs that provide Karaoke. However, Floorfillas do not offer this service. DJs often have their own style. Some DJs rely on great songs to create a party atmosphere, whilst others adopt a more interactive style which involves talking over the microphone to guests and sometimes making a few jokes and providing party games. Then there are club DJs who very rarely talk, but know how to mix beats together. So it is necessary to decide what kind of entertainment you would like to provide for your guests and ensure that you choose a DJ to match! I personally rely more on good music to create the atmosphere, but also understand that communication with guests can help them feel more relaxed and subsequently more likely to let themselves go a bit more. We have all been to at least one Wedding Reception or Party where the DJ talks over the music in a style more reminiscent of a bingo caller than a DJ. There are DJs who offer party games and karaoke. My personal feelings are that party games are a little bit old-fashioned, and although Karaoke can be fun in a private booth or office party, this may not be suitable or appropriate as some people have a definite dislike for Karaoke events. Your expensive wedding could be ruined by a bargain basement DJ! The following response: Wow I think I am getting ripped off as I have been quoted £450”! DJs quoting £400-£500 for an event will charge this kind of price if they are confident that they can provide a high standard of service to their customer. They have probably established an excellent reputation with local venues and have a catalogue of first class references. They will be highly experienced at reading the crowd, choosing the right music and will have an overall image of professionalism – reflected in their equipment, website and promotional material and presentation. The good professionals will always carry back-up equipment just in case of any unforeseen emergency. They will have a high level of public liability insurance (normally £5 to £10 million pounds) and will also have the essential PAT certification that most venues now insist on. Another asset they will probably have is an outgoing, friendly and personable personality. Highly experienced DJs are also quite capable of coping with stressful situations, and finding a fast and efficient solution to any problems that could arise during your event. A professional DJ will probably look into your request list the week before your event and have a set of music to hand that compliments your chosen songs. I spend at least a day preparing for most parties and this can sometimes stretch to 2 or 3 days if the client requires bespoke videos playing at their event. So a DJ who only charges £250 is likely to have a full time job and perhaps be moonlighting as a DJ in the evening. The equipment may not be of professional grade and his DJ skills and music knowledge will not equal those of a full time professional. It is also worth bearing in mind that if you are paying a low fee, some less scrupulous DJs may decide to cancel your booking in favour of a more lucrative job if one is offered. I am often called by agents and private customers requesting my availability due to a DJ “no show” or unexplained late cancellation. I hope you don’t take any risks when you book your entertainment for your Wedding reception. If you would like more information on the Floorfillas DJ service please drop me an email. 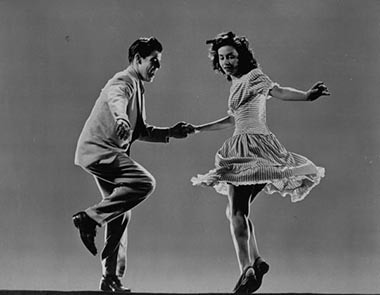 Lindy Hop…Get in the Swing! Lindy, or the Lindy Hop dance, is a Swing dance which reflects the music of the 1920’s through to the 1950’s. Being used to bop along to anything from big bands to jazz musicians, the Lindy Hop combines the hold and turns of European dancing with the solid body posture of traditional African dance. Lindy dances always require two people, who rotate and step around each other while embracing or linking hands. The Lindy Hop paved the way for the likes of West Coast Swing, Rock’n’Roll and Boogie Woogie dancing, encouraging dancers to move in time with the rhythm without the strict rules and formalities of many other forms of dancing. The name Lindy Hop is a reference to a newspaper headline which read “Lindy Hops the Atlantic”, celebrating Charles Lindbergh’s success at completing the first solo, non-stop flight from New York to Paris in 1927. Just the year before, New York’s bustling Harlem district saw the opening of the Savoy Ballroom. This dance club resided on Lennox Avenue in the heart of Harlem, a place which accommodated black and white people alike and was known as the “mother church of swing dance”. As soon as the club opened, a new fast-paced style of dancing began to emerge. 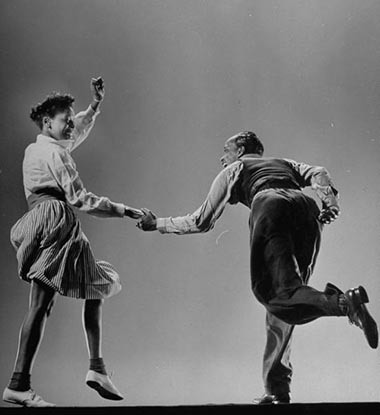 This dancing, which became known the following year as Lindy Hop, mixed the swing music of the time with the jazz dancing and African rhythms which were a major part of African-American heritage. Despite growing massively in popularity between the 1930’s and 1950’s, the Lindy Hop saw a decline over the next few decades. However, the year 1986 saw Frankie Manning – arguably the greatest Lindy Hop swing dancer in history – came out of retirement and begin teaching couples to swing again. A strong scene emerged throughout the 1990’s in the West Coast of America, and to this day lively Lindy Hop and jazz dancing clubs regularly meet to enjoy the music and dance the night away. Lindy Hop dancing came about as a result of the swing and jazz music which was so popular in America during the early 20th Century, especially in inner-city areas like Harlem. Almost all of the most popular songs to get your feet moving originated at the time, almost 100 years ago now. However, with the internet, compilation albums and the large record collections of most Manchester DJ’s, you can still Lindy Hop to the greatest swing and jazz tunes to this day. Some of the best Lindy Hop tracks are played by live bands and mobile DJ’s alike, come from names which need no introduction. Elvis Presley’s All Shook Up is a firm favourite, as is Frank Sinatra’s Five Minutes More. Ella Fitzgerald’s Sing Me a Swing Song has kept people swinging since 1936, alongside Sam Cooke’s Another Saturday Night which was released in the early 1960’s. Popular Lindy Hop songs have even been released as late as 1997, when Eva Cassidy covered the old African-American spiritual song Wade in the Water. Other notable swing and jazz artists who created music to move your feet and do the Lindy Hop to include Sammy Davis Jr, Billie Holiday, Lionel Hampton, Louis Jordan, and Cab Calloway – whose music originated from Harlem’s Savoy Ballroom just as Lindy Hop itself did. Even though the origins of Lindy Hop are rooted over 80 years in the past, there are still classes to visit in the North West where you can let your hair down and enjoy yourself for a few hours. You’ll need to wear flat, comfortable shoes which preferably tie on, or a Charleston kick could easily send one flying across the hall! Some people choose to wear retro clothing, others just a t-shirt and jeans, but it’s most important that you are comfortable without being too restricted. The Manchester Lindy Swing Social is one of the most popular Lindy Hop events in the North West, taking place at 7:30 every Friday night in The Derby Suite, Freemason’s Hall, Bridge Street. Your £5 entry cost contributes towards the maintenance and running of an authentic wooden dance floor and fully licensed bar, but also a dance class – whether you’re an absolute beginner or have been doing the Lindy Hop for years. Social dancing follows the classes and runs until late, so you can finish the night by moving your feet to your favourite swing and jazz tunes. 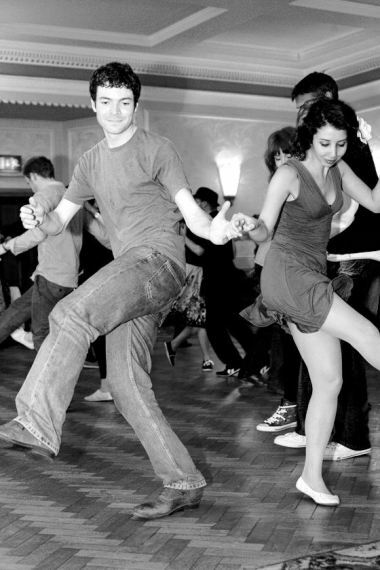 A little further afield, you’ll find the Swingaroo Vintage Dancehall located inside the Preston Masonic Hall, Preston, Lancashire.This Lindy Hop night costs £8 to attend, and runs from 7:30 on the last Friday of each month. The monthly event features both live swing musicians and resident DJ’s, playing swing, jazz, Charleston, Rock’n’roll and Rockabilly. 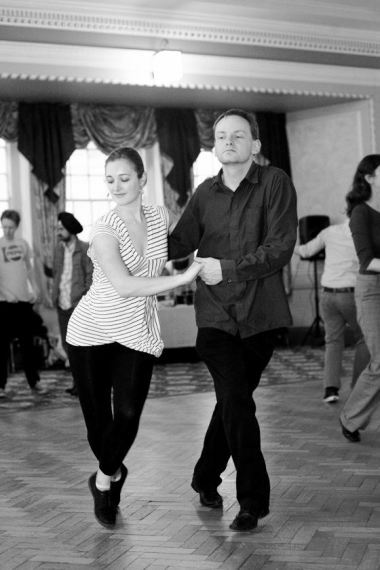 If you’re a beginner you can also take part in a tuition class before hitting the dance floor. For those willing to travel a little further away from central Manchester, Swing Jive Leeds is a weekly Lindy Hop night located at Moortown Social Club, Cranmer Gardens. The event begins at 7:45 every Monday evening, with beginner’s classes at 8 and advanced classes at 9:15. Afterwards you can dance the night away to music from the 1920’s through to 1950’s on a wooden dance floor. Will you be trying your hand (or feet) at Lindy Hop dancing any time soon? Why not let FloorFillas know in the comments below? I was recently booked as the DJ for a wedding at Mere Court in Knutsford, Cheshire. 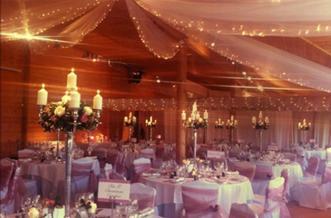 When I arrived at the venue I was immediately impressed by the venue dressing and flower arrangements. 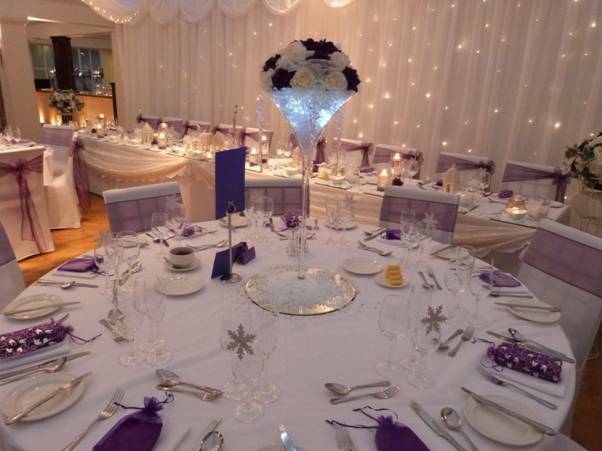 The main table had been dressed immaculately and the table centrepieces were also impressive whilst maintaining a look of elegance. After the speeches had been completed I began to set up my DJ equipment it was at that point I noticed Alison clearing the main table displays away. Upon talking to her I discovered that it was her company www.lastingmemories.org.uk that was responsible for the beautiful way the room had been presented. I immediately decided that Alison’s company had to be my choice for wedding vendor of the Month. After talking to Alison for a while I was quite surprised to find that all the flowers were in fact made of silk. 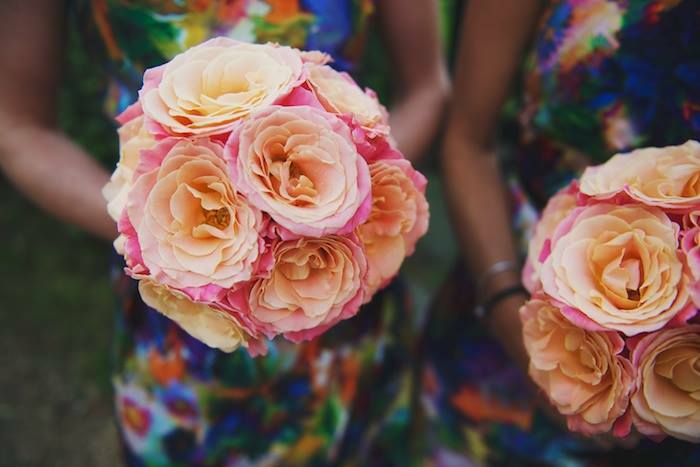 Alison prefers to use silk flowers at weddings as they retain that freshly cut vibrant look long after natural cut flowers start to wither and fade which can be especially noticeable with flowers worn on lapels etc. It is not very often that I am impressed by venue dressers as I get to see so many dressed rooms each month that it just becomes second nature to see the fully dressed room. So when I write about a vendor it means they definitely have some extra special to offer. The bespoke silk flowers can be made specifically to the customer’s requirements and it is no surprise to discover that Alison has recently been chosen by the prestigious wedding venue Mottram Hall as their preferred venue dresser. 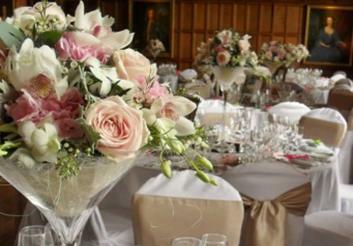 Alison has also recently made it to the finals of “ Best Florist Award” held by County Brides magazine. 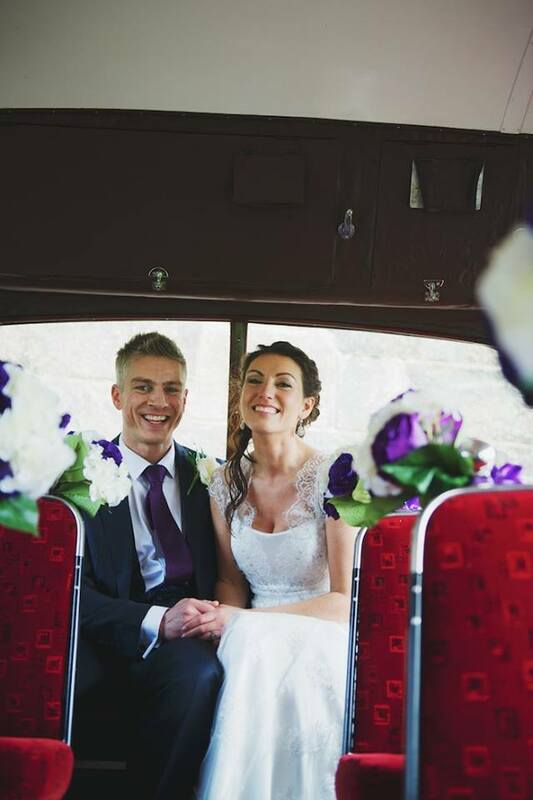 I would highly recommend Alison’s service to any bride who is looking for something extra special and not only will they be assured of a superb level of service they will also get to meet a very friendly and genuine person that will go that extra that mile to make your big day look and feel very special. I have met a number of fantastic venue dressers whilst working as a DJ in Cheshire so I have decided to list a few below. They all provide an excellent service and are not listed in order of preference. 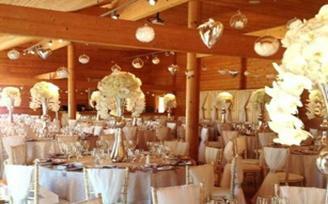 Laurel Weddings promises to deliver a quality wedding design service, that specializes in wedding flowers. The flowers arrangements can be displayed in fresh and silk formats. 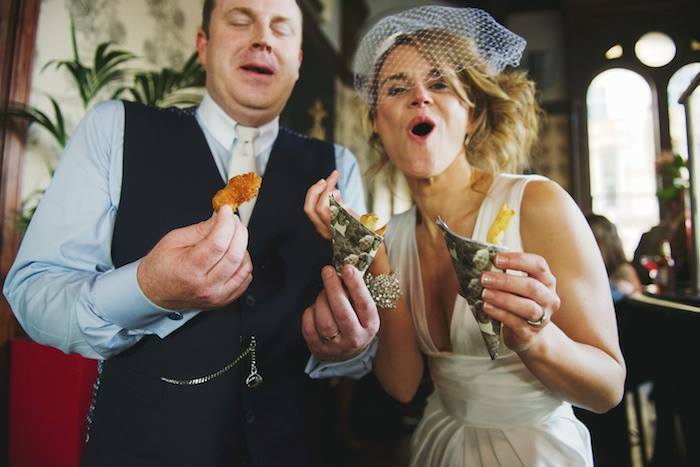 So if you are planning a small intimate gathering or even a much more lavish affair at a stately home then Laurel Weddings could be the company you are looking for. The manager and owner (Laura Simpson) also creates bespoke tiaras, headdresses and other accessories. Every piece is handmade and each design can be made to match your chosen colours for the day. 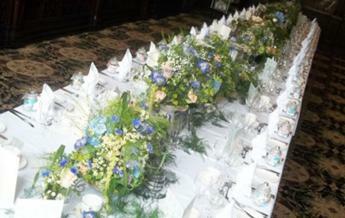 Divine Designs offers venue dressing for all occasions and supply a personal service by professionals. Divine Designs include a free design process with their services helping their clients develop their bespoke, personal designs. Divine Designs also offer a free consultation to all of their clients which helps take the weight off some of the stress arranging an event can bring. More information can be found on their website. 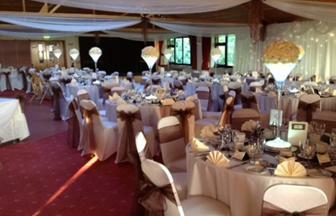 Woodyat Warner are award winning venue dressers offering services in Cheshire, Manchester and throughout the North West. Woodyat Warner offers a wide range of professional services for adding the wow factor to your venue including the dance floor! Go to http://www.woodyattwarner.com/ for more information on the services that they offer. 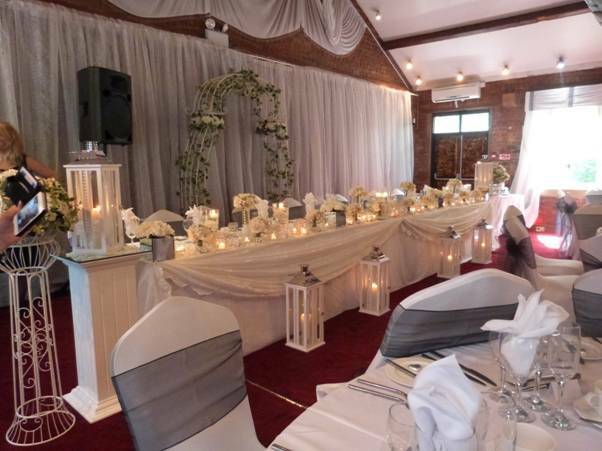 Lily Rose Events is based in Cheadle, Cheshire have over 20 years’ experience and can provide everything from flowers and buttonholes to ceremony and church displays. 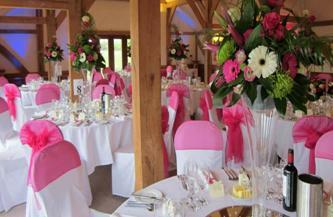 Lily Rose Events pays attention to every detail by coordinating every aspect of your chosen theme and colours. 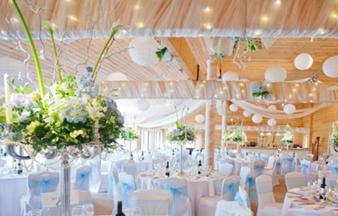 Go to their website: http://www.lilyroseevents.co.uk/ for further information. Hearts and Flowers have some lovely ideas and will tailor the design to fit your chosen style and theme. Hearts and Flowers has a gorgeous range of vases and candelabras as well as a wide range of t-light holders, mirrors and props which can be added to your package. Dreamweavers pride themselves on a more personal and friendly service and promise to give every attention to detail. They can produce equally stylish results varying from a bold dramatic and contemporary themes to something with more tradition and romance. Their results are not only visually stunning but unique and individual. Dreamweavers cover every aspect of venue dressing from chair covers right through to floral design, prop hire and even lighting effects. Just as our preferred format for music has changed from vinyl, to tape, to CD, to MP3, so too have the world’s jukeboxes. 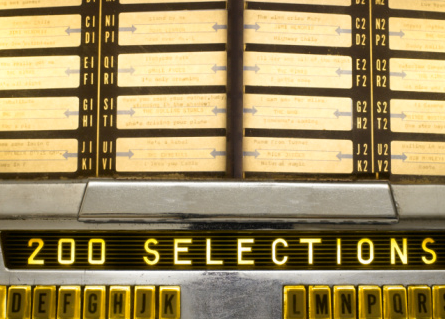 From bulky pieces of machinery with a few dozen popular songs to touch screen panels holding thousands of hours of music, the jukebox has come a long way over the past century. Nowadays they’re not so common, but they’re still found in a small number of pubs and café’s, especially around the UK’s seaside holiday destinations. Despite this, there will always be something nostalgic about the gentle crackle of an old Rock n’Roll or Motown record as it begins playing on a jukebox – something which we’ll never experience with an MP3 recording. The jukebox as we know it today first hit the shelves in the 1920’s, with the arrival of technology to electronically record and play sound. The first jukeboxes played less than ten records, with numbers slowly increasing as jukeboxes became larger and more sophisticated. As we head into the 1930’s and see the arrival of the traditional American diner, the popularity of the jukebox spiked massively. As technology improved, jukeboxes started to hold more and more songs. New models were released with shiny chrome accessories and flashing coloured lights, to match the bright plastics, chromes and leathers of the new diners. Many American diners wanted their guests to be entertained, without having to shell out for a band or spend half the day repeatedly changing records. A jukebox was the perfect solution, and it would even collect some extra cash for the staff. And so by the 1940’s they could be found in almost every single diner. 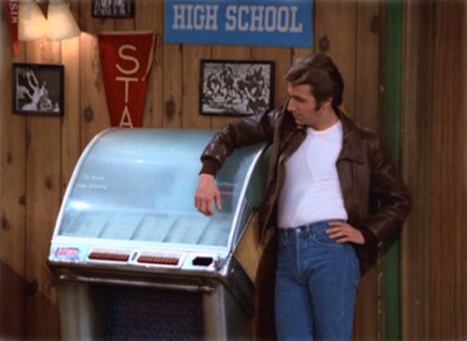 The jukebox was never far from sight in 1950’s, and was made super cool by “The Fonz” (Henry Winkler) in the 1970’s American sitcom “Happy Days”. Televisions started to become popular in the 1950’s, but even so juke boxes remained a hit with the birth of rock n’ roll music in the swinging sixties. 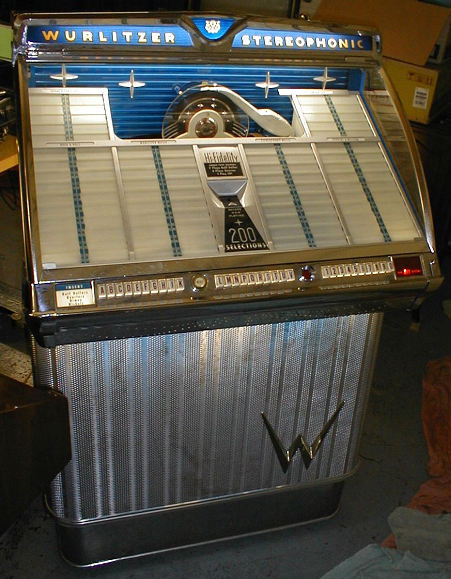 When we picture a classic jukebox, many of us will imagine a model like the Wurlitzer 1015, which was released around this time. The Wurlitzer 1015, one of the most iconic jukeboxes in history. Into the sixties, young people began to embrace their own individuality and rebel against the wishes of their parents and the government. A big part of their lifestyle was the music, which they usually had to listen to through- you guessed it – a juke box. Today’s smartphones and portable music players like the iPod have seen jukeboxes fall in popularity over the past few decades, but they’re still a key feature of many diners, bars and other places for socialising. I love the nostalgia of an old jukebox, and it takes me back to the campsite holidays of my youth. I’d visit the arcade and feel the excitement as I placed coins through the slot, waiting for my favourite songs to fill the room. I remember the feeling to this day, and I know how important it can be for others to hear their favourite songs while they’re at a party. I have recently created an updated version of the jukebox on my website. This software is totally free, and plays music videos rather than 7inch singles. I think it’s a pretty exciting development, so why not try it out and let me know what you think? If you want something extra special for your party or event, then you could also try my latest big screen projection service. A twin projector system can be used to play music videos, or any other footage which may be relevant to your birthday party, award ceremony, or school prom in Manchester or Cheshire. Directors, musicians and artists that can change or enhance your mood have a special talent and a certain magic. There are endless films to view at the cinema and on TV, but probably not many that you could say really stirred your emotions. Although still images only have an instant to make an impression, there are some fantastic paintings and photographs that communicate with your imagination straight away. There are artists and photographers that obviously have more skill than others and I think originality automatically falls into the laps of the more highly gifted people. My feeling is that Nicola is one of these lucky people with a natural gift. I recently stumbled across a fantastic photo on the internet that seemed to not only have a vintage feel to it but also to capture the spirit of Manchester. I instantly thought that this was an original artist using the medium of photography to express their vision. Being a DJ I am constantly listening to new songs and every now and again there will be a certain musical style or sound that reminds me of me of another band or artist. It was quite funny that when I started to look through Nicola’s images, I began to think of The Smiths. I realised that it was the originality and flamboyancy of some of the photos that reminded me so much of the Manchester band and especially Morrisey. If you take a quick look at the photos on Nicola’s home page you will hopefully see what I mean. Any one of these photos could quite easily have been used as a 7” single cover for The Smiths. I can hear the guitar intro to “This Charming Man” playing now as I look at her original artwork and there is also a certain nostalgic feel with the butcher shop ribbons and Victorian tiled walls. “The last of the English Roses“ is an obvious thought created by this beautiful photo. I feel Nicola really is an artist and I would be quite interested to know if she has ever tried her hand at painting as her use of colour and light is exceptional. I will be choosing a new photographer each month to review on my blog, but for now Nicola definitely wins my Photographer of the Month award. Please note I do not write articles about other suppliers as a form of business. I only write about people if I genuinely like their work. When organising the perfect Christmas party it is important to plan ahead for the big event. Many venues get booked up early so if you have one in mind make sure you get in there and book in plenty of time to avoid disappointment. If you are also looking to book a live band or DJ make sure you book them early as all the good shows & DJs start getting booked from September and sometimes a lot earlier. 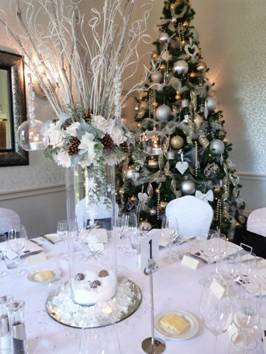 Have a budget in mind – First on the list when organising your Christmas event is to keep your budget in mind so you can make more informed decisions. Create a guest list ASAP – Keep in mind how many guests will be attending. This will help with making important decisions such as the venue – no point in looking at venues that won’t be able to cater to enough people. Consider the type of event you are planning – Is it a sit down meal you’re after? Or just somewhere casual to have a few drinks with your friends, family or colleagues? Or may a disco or some entertainment? Ask around the guests you plan to invite first, it’s important to try and cater for as many people as you can e.g. if there are lots of guests that will be driving maybe it’s best to go for a sit down meal. Choose your venue – Many venues are booked up early on in the Christmas party season so the key is to choose your venue early and book as soon as you have a rough idea of how many guests will be attending. 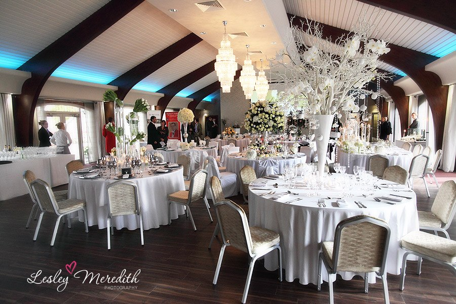 Set a date – Once you’ve decided on your venue set a date based on the availability of the venue. Again, the sooner you set the date the better. Food & Drink – Again budget is key here as well a rough idea of how many guests will be attending. It’s worth deciding early on whether you want a sit down meal or something less formal. Maybe an open bar with a few nibbles on the tables? Invites – A good time to start thinking of invites is around October/November time. This way you will have a good idea of how many guests to expect. Be sure to include all details e.g. time, date and venue address, menu, dress code etc. Music One of the most important things to consider when planning the party of the year is your choice of music. 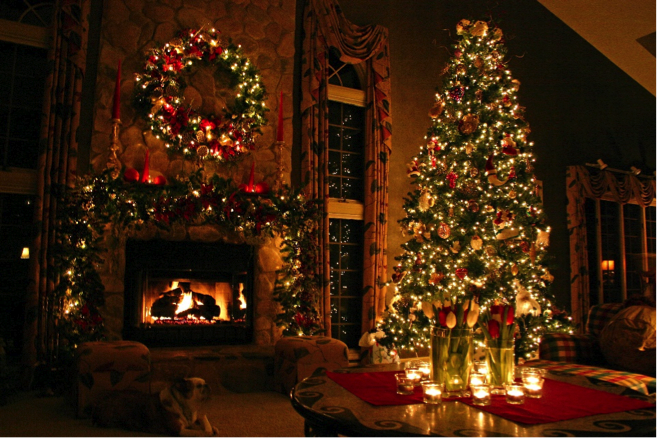 Getting a great DJ can make your event really hop, and provide a great amount of Christmas Cheer. Get it right with Floorfillas who can provide you with all the music and atmosphere you need. 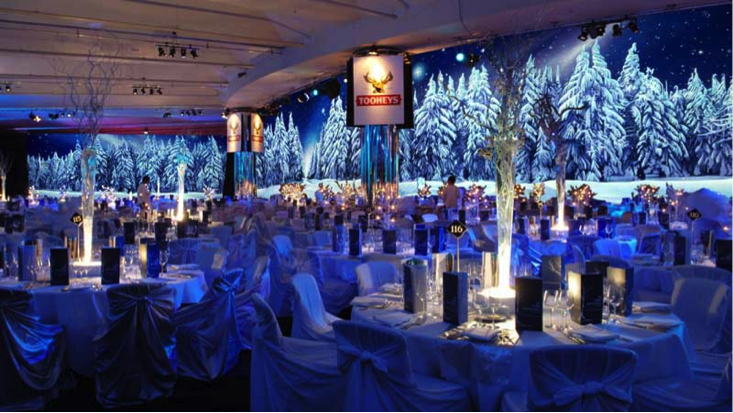 If it’s a big event you’re planning, you may want to consider a few special extras. Floorfillas provide these special extras such as VIP Red carpet entrance to the venue, Projected videos with Christmas messages, ambient lighting, and your own special messages to your guests projected onto the walls of the venue. 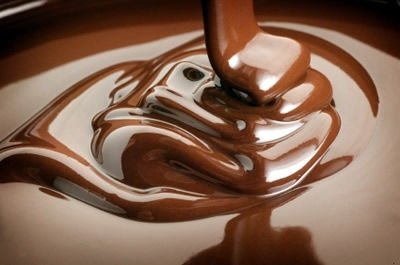 Xocolatl, Chocolat or as we call it in the UK, chocolate, was first brought to the European regions by Cortex where is was made more palatable for the European’s to enjoy. 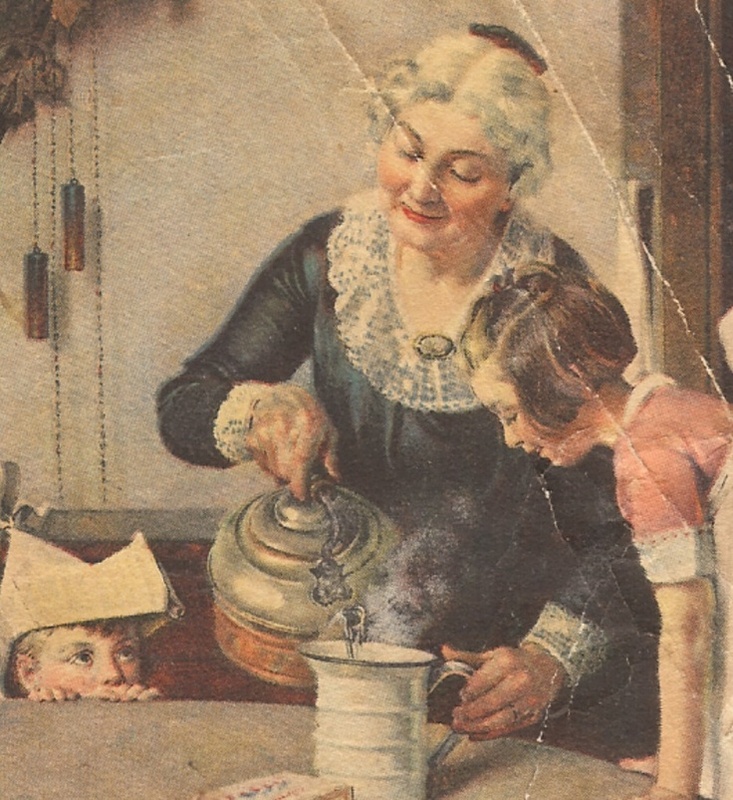 It was mixed with ground roasted cocoa beans along with sugar and vanilla, a mixture that is still commonly practiced today. The sweetening of the chocolate removed the bitterness that was much enjoyed by the Aztec’s. But it wasn’t until 1520 that it arrived in England with the first Chocolate House of England being opened in London in the year 1657. Due to its instant popularity lots of others followed suit shortly after. This is when the trend for coffee houses started which were originally used as clubs where the wealthy would meet to enjoy a pipe, socialise and discuss business over a cup of hot chocolate. 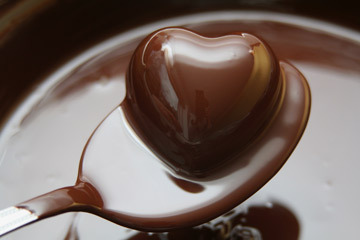 Just like many other countries, chocolate is a symbol of romance. But this sweet, sugary brown substance can also be pretty funny as we see in some of the best chocolate ads to hit our TV’s. We take a trip down memory lane as these adverts will either melt your heart or tickle you on the funny bone. You decide! Firstly, not quite sure what this advert has to do with chocolate but it certainly random yet unforgettable. The advert zooms in on a gorilla playing Phil Collins “In the Air Tonight”. However it is only at the end of the advert that we get to realise it is the gorilla playing the drums. Such a fantastic advert. “All because the lady loves Milk Tray”! Do we need to say more? Inspired on a James Bond look-alike as he throws himself into the sea on an apparent suicide mission. If you are organizing a wedding in Cheshire or a wedding in Manchester over the next 12 months why don’t you consider adding a small and tasty touch of class with a selection of made chocolates for your guests. If we were to have a debate on what makes the best wedding favors there would be lots of suggestions including candles, personalised glassware, and candle holders to name a few. These may all be popular choices but unfortunately these so called “knick knacks” will end up on the shelf of guest’s homes gathering dust in the hope they will be picked up and cleaned. 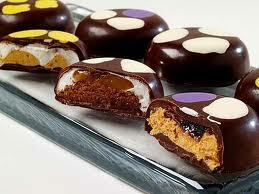 A wedding favour should be memorable and is sinfully delicious. Yes, you’ve got it right, chocolate. These are most definitely a crowd-pleaser for all guests. It is a proven fact that the UK has a love affair with this delicious sweet with the average person enjoying high quality chocolates at any time. The chocolate wedding favor certainly has no rival close to beating it. Think handmade chocolates. There are some high quality chocolatiers that can provide you and your guest’s wonderful handmade chocolate favors in a variety of styles. There is something for the coffee enthusiast, a heart chocolate for the romantic; in fact there is a chocolate that meets everyone’s tastes. Because handmade chocolates are unique to you, you can theme your chocolate favors. So that cherry chocolate truffles will make your mouth water while you are looking at the bride holding blood red flowers. An excellent alternative to chocolate is beautifully hand piped biscuits that come in a range of traditional flavours but more importantly because they are made fresh for your wedding you can personalise these to make incredible gifts for your guests. 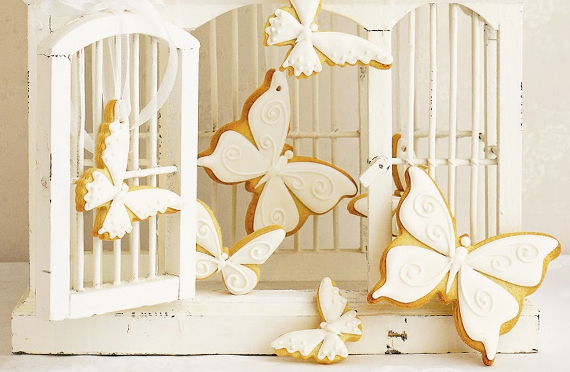 With cookies starting from only £3.95 these wedding favors would make your guests go wow as they open the little box. Contact Peggy Porshen Cakes for more information. If you would like high class entertainment to match your high class chocolates make sure you check out the Floorfillas website first. I have recently played at a wedding in the fabulous grounds of Colshaw Hall in Knutsford, Cheshire. I was so impressed with the venue that I decided to write this blog post. If you are looking for the perfect wedding venue to make your dreams come true, wade through the beautiful countryside of Cheshire and you will soon approach a charming and beautifully restored Grade II listed property that has been given the attention it deserves by the Irlam family. They love their home so much they wanted others to experience the excitement and enchantment this hall brings. Built in 1903 solely for the Peel family, this sits in the heart of the Cheshire countryside. Being located in Knutsford this is ideally located for those situated in the North West and looking for the ultimate wedding venue for their perfect day. 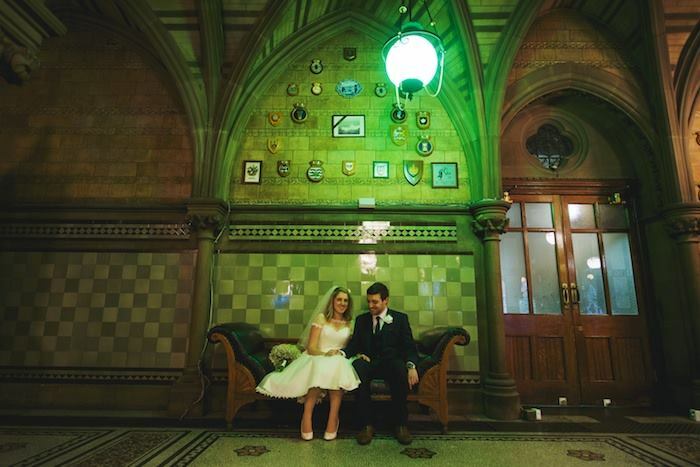 Whilst the Hall provides a grand backdrop easily highlighting the magnificence of your event it has very private and peaceful gardens, welcoming those private moments and making the perfect setting for your first pictures as a married couple. 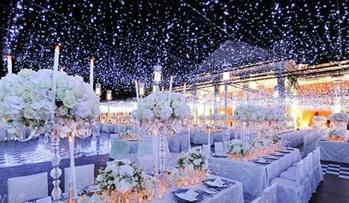 The perfect wedding would be one that is tailored and unique to you. 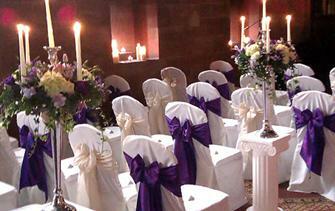 At Colshaw Hall you are welcome to celebrate your wedding how you would like to. After all it is your wedding day. There are three locations within the grounds to choose from. You have the choice of the Peel Suite, the grand hall or if the weather permits, have your wedding outside in the gardens. Each offering a completely different wedding experience. What does the Peel Suite offer? 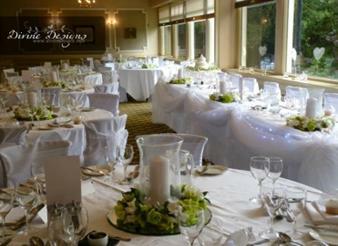 Looking for a grand wedding, then look no further as the Peel Suite caters for up to 200 guests. You and your guests can toast your wedding in style as you enjoy the luxury of a marquee attached to the suite and enjoy an extravagant party as you start your wedding life together. What does the Hall offer? Perfect for intimate weddings as this holds up to 50 guests, ending the day in the Music Room, the perfect setting for a family celebration. Colshaw Hall has a vast amount of land to enjoy. In fact there are 300 acres. On a perfect sunny day say your vows under the glorious English sunshine in a garden that would make you and your guests think “wow”. Wedding couples can choose to get married in two parts of the gardens, Magnolia Garden and Walled Garden. Both are truly beautifully landscaped providing Colshaw Hall as the perfect backdrop. Don’t forget that the gardens create the perfect photo opportunities and give the opportunity for intimate and family portraits to be taken by the lake, bridge or in front of Colshaw Hall. An exclusive venue to make your own memories….. I cannot tell you how overwhelmed I was by this venue, I was certainly highly impressed. It is the place to create your own family memories to be cherished forever as you feel welcomed by Heather and David and their children. We’re eagerly looking forward to Creamfields 2013, coming up this August bank holiday, right in our own backyard. Creamfields has been going strong since 1998 and we thought we’d take a moment to have a brief look back through the more memorable moments of one of the UK’s best music festivals. Creamfields is now an international event with festivals all over the world in countries including Argentina, Brazil, Chile, Mexico, Uruguay, Peru, Czech Republic, United Arab Emirates, Spain, Ireland, Turkey, Lithuania, Russia, Poland, Portugal, Australia and New Zealand. Creamfields has been voted ‘Event Of The Year’ by Muzik Magazine, ‘Best Event’ by The Guardian newspaper, ‘Best Dance Festival’ by the UK Festival Awards, ‘Festival Of The Year’ in the House Music Awards, ‘Tourism Event Of The Year’ by VisitLiverpool and ‘Festival Of The Year’ in the Music Week Awards. 2008 was the 10-year anniversary of the festival and saw the event extending to 2 days and including camping. In 2012, bad weather led to the first ever cancellation of the final day of Creamfields. To avoid this from happening this year, the festival organisers have spent £500,000 on site improvements and a contingency plan incase of bad weather. You can find out more about Creamfields at the official website. Standard day tickets and hospitality camping tickets are still available from Ticketmaster, Ticketline and 3B Records.